An all-new HGTV 25 Grand In Your Hand Sweepstakes starts July 20th. Tune in to HGTV every Thursday nights at 9:00 pm ET/PT for your chance to win $25,000 each week, for four weeks. 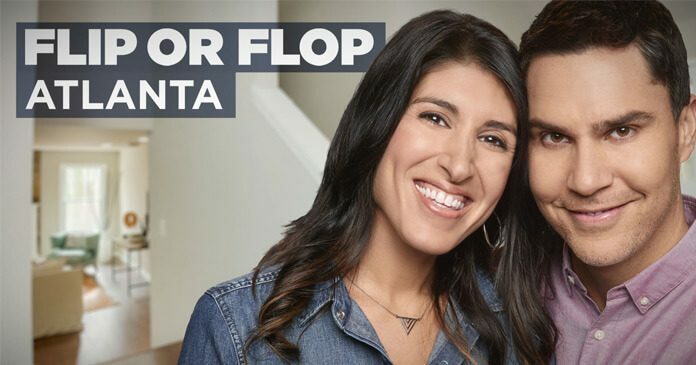 Look for the code word that will appear on the screen at various times during Flip Or Flop Atlanta then visit www.hgtv.com/25grand to enter the Sweepstakes. To participate, go online at www.hgtv.com/25grand and follow the instructions to complete the HGTV 25 Grand in Your Hand Sweepstakes entry form including the correct Code Word and submit. Upon submitting the entry form, you will automatically be entered into the applicable Weekly Entry Period. You may enter only once per week, for four weeks, between July 20, 2016 and August 11, 2017. Looking for the HGTV Sweepstakes Code Word for today? Have a look at our list below. Each code word must be entered between Wednesday, starting at 9:00 pm ET, and 8:59:59 pm ET on the immediately following day. The four Grand Prize Winners will each receive $25,000 cash, presented in the form of a check. Approximate retail value of each Grand Prize is $25,000. Approximate retail value of all Grand Prizes is $100,000. Want to know more about this HGTV Sweepstakes? Check out the details below. The Sweepstakes Period begins at 9:00 p.m. ET on July 20, 2017 and ends at 8:59 p.m. ET on August 11, 2017. Limit of one entry per eligible person, per Entry Period, for a maximum total of 4 entries throughout the Sweepstakes Period. Four potential Grand Prize Winners will be selected by HGTV in each of 4 random drawings from all eligible entries received during the applicable Entry Period on approximately the following dates: July 24, 2017; July 31, 2017; August 7, 2017, and August 14, 2017, for a total of 4 potential Grand Prize winners. Beginning on or about August 21, 2017, you may obtain the names of the winners, by going to hgtv.com/sweepstakes. The Sweepstakes is sponsored by Scripps Networks, LLC dba Home & Garden Television, 9721 Sherrill Blvd, Knoxville TN 37932 and is being administrated by Ritway, Inc., 1463 E. Weisgarber Rd., Knoxville, TN 37909. For complete details about the HGTV 25 Grand In Your Hand Sweepstakes, please read the official rules.